Fruitless Pursuits: FPcast! The Fruitless Pursuits Podcast for May 5th 2014! Free Comic Book Day vs Star Wars Day! FPcast! The Fruitless Pursuits Podcast for May 5th 2014! 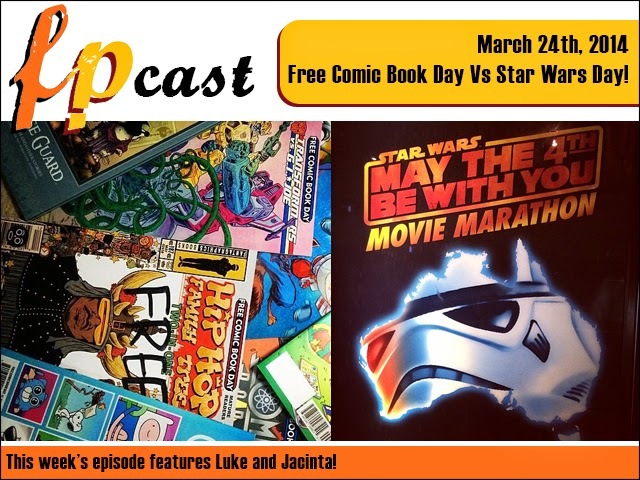 Free Comic Book Day vs Star Wars Day! This week we celebrate both Free Comic Book Day and Star Wars Day! We review our favourite (and not-so-favourite) free comics, plus we talk about the casting of Episode Seven. We also review the Art of Winter Soldier, and catch up on Game of Thrones. Seriously! This is all the stuff you like! Shove it in your head holes! And be sure to SUBSCRIBE to us on iTunes because we do this every week!